EPP-eHealth, an EU-funded project that set out to transform the market for eHealth solutions through dialogue and innovation procurement, has created a network of procuring organisations in healthcare. They also published Joint Statements of Unmet Needs, a Public Procurement of Innovative solutions (PPI) Strategy for eHealth and mapped out EU initiatives and funding opportunities. Patient empowerment through telemedicine and individual tailored apps. Electronic health record: extraction of data and exploitation. The document also invites other ambitions healthcare institutions across Europe that are interested in the same eHealth unmet needs to join to the EPP-eHealth Statement and to lend their support to the broad communication of the Joint Statements. Why? "Healthcare institutions operating in a cooperative manner have the collective power to create a lead market for new solutions through their procurement functions and these can subsequently be adopted by others in the wider healthcare arena", says coordinator Laura Sánchez Alonso (BravoSolution España S.A.). "By joining, stakeholders will be added to the project network to pool the demand for innovative eHealth solutions." Join the Statement of Unmet Needs! The PPI Strategy for eHealth identifies the demand-side measures that are needed to enable the healthcare sector to accelerate the development and adoption of 'market-ready' eHealth solutions. It addresses short- to long-term needs in the healthcare sector, summarizing the lessons learnt by the project. In addition it offers resource materials (guidelines, templates, regulatory reference framework, factsheets, case examples and reference action groups of stakeholders), useful to overcome the challenges identified by the project. This report raises awareness about the global knowledge that has been produced through initiatives and projects funded by the EU within the healthcare domain. In addition, this paper presents a review of the EU financial instruments for investing in eHealth as well as the available EU business supporting initiatives. This document offers definitions and clarifications regarding innovation procurement and the eHealth domain. This section of the project website presents the upcoming PCP call for tenders for DG Connect funded projects. EPP-eHealth has launched a Matchmaking tool: If you are a supplier and have an eHealth solution that meets any of the EPP-eHealth Joint Statement of Unmet Needs or you are interested in seeking partners for a joint proposal bid, feel free to complete this questionnaire. We want to take this opportunity to thank everyone that has contributed to the project and attended our workshops. Alder Hey Children´s Hospital in partnership with Innovation Agency North West Academic Health Science Network (NWAHSN) invited the EPP eHealth consortium to join a study visit to hear from health professionals and suppliers in Liverpool and understand what they are currently doing in the field of eHealth. Experience from pervious PPI projects in the healthcare and other sectors have clearly demonstrated the value of learning visits to gain first-hand understanding of good practice. These learning journeys provide a variety of lessons on what is possible and how to overcome the barriers to good innovation procurement practice from peers in other countries. It also fosters creative debate within the consortium. 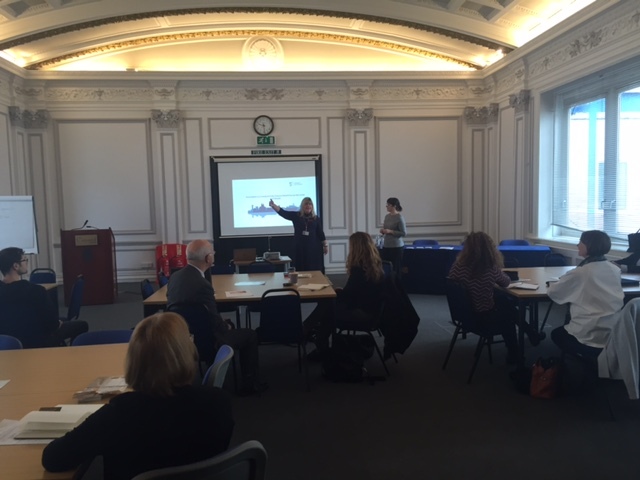 The EPP-eHealth Market Engagement and Stakeholder Workshop took place in Liverpool City Council, UK on 10th November 2016 and was organised by the EPP-eHealth project in partnership with Liverpool City Council and Innovation Agency North West Academic Health Science Network (NWAHSN). The workshop targeted procurers and suppliers of eHealth solutions. Suppliers had the opportunity to hear first-hand about the eHealth unmet needs of healthcare providers. 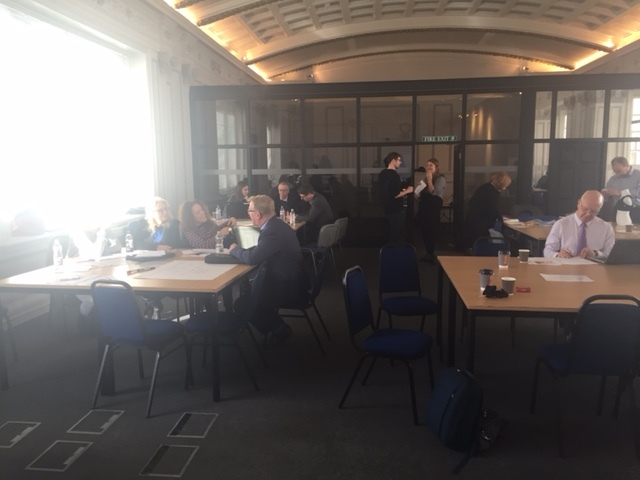 Procurers heard the perspective of suppliers on how these needs could be met, the barriers to progress regarding the wholesale uptake of eHealth solutions and how customers can support and enable innovation in the eHealth supply chain. 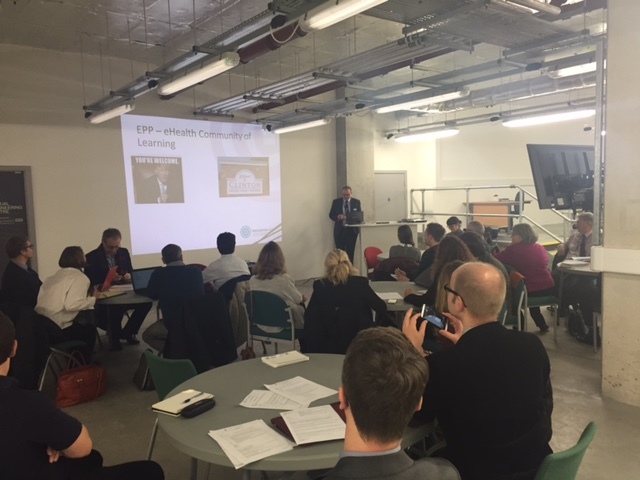 The findings of this workshop will feed into the development of the EPP-eHealth Innovation Procurement Strategy which will be put out for consultation to the supply chain. The EPP-eHealth Innovation Procurement Strategy will be available in the Resource Centre of the project website. Afterwards, participants will continue to be in touch in order to follow up on questions and comments raised during the workshop to ensure that the EPP-eHealth Innovation Procurement Strategy accurately reflects both the customer and supplier perspective of innovation procurement of eHealth. The EPP-eHealth Stakeholder Workshop (eHealth suppliers) will present the project Joint Statement of eHealth Unmet Needs (JSUN). The purpose is to understand the suppliers perspective about public procurement in the healthcare sector in various European countries and assess the potential barriers and opportunities to market ICT solutions and to enable suppliers and customers to comment on it. Suppliers will have the opportunity to meet with Healthcare procurers. Event open to eHealth Suppliers and Healthcare Procurers.. 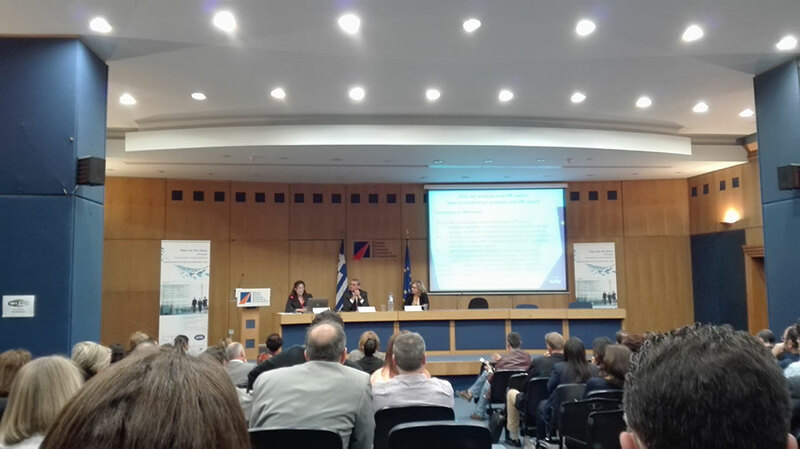 The second major eafip event took place in the National Centre for Public Administration and Local Government (EKDDA) in Athens, Greece on the 18th and 19th October 2016. This two-day event targeted procurers, policy makers, procurement law firms and businesses, to raise awareness about major PCP/PPI initiatives across Europe, explain the progresses made this last year, present the final version of the eafip Toolkit of assistance, and discuss new ideas, initiatives and funding opportunities for PCP/PPI. The EPP-eHealth project was presented in the Parallel Session PM-19 during Day 2. Event open to eHealth Suppliers and Healthcare Procurers. 27/09/2016 - EPP-eHealth Survey on supplier perspective about public procurement in the Healthcare sector. The EPP-eHealth project, funded under the Horizon 2020 programme, has recently launched an online survey. The purpose is to understand the suppliers perspective about public procurement in the healthcare sector in various European countries and assess the potential barriers and opportunities to market ICT solutions (Information and Communication Technologies) - especially technologies that allow management and transmission of information including the Internet, wireless networks, Bluetooth, cellular networks and satellite networks. The feedback will be aggregated and will inform the next stage in the EPP eHealth project which is the development of an Innovation Procurement Strategy. The feedback will be aggregated and will inform the next stage in the EPP eHealth project which is the development of an Innovation Procurement Strategy. We kindly invite you to participate in the survey (English version). It should take you 10-15 minutes to complete. The survey has also been published in Spanish, Polish and Danish. The survey will be opened until the 29th of October. EPP-eHealth aims to transform the market for eHealth solutions through dialogue and innovation procurement. The project will make progress towards this aim by creating a network of procuring organisations that understand the opportunities that eHealth can offer and have competence in innovation procurement and the capacity to pioneer new approaches to collaborative procurement. As well as stimulating demand for eHealth goods and services and creating a robust framework for practical procurement (public procurement of innovation – PPI –and pre-commercial procurement – PCP –) outcomes within the period of the project, it will also serve as a leading procurers group for the wider population of some 15,000 hospitals in Europe. 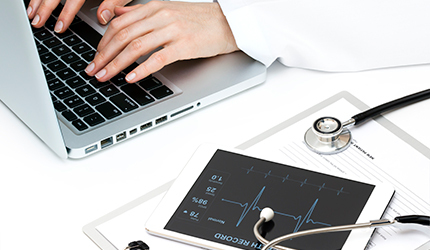 Do you know how to bridge the gap between ICT and chronic disease care, and empower patients? Empattics EU funded project (EMpowering PAtients for a beTTer Information and improvement of the Communication Systems) is pleased to invite ICT, life science and design companies etc., together with clusters, accelerators and industry associations, who have expertise in healthcare and digital health, experience design, patient and user empowerment and involvement, security and interoperability to attend one of the workshops held across Europe in September and October 2016. With the title ´A Movement for Change: Enabling People-Centred and Integrated Health and Social Care´, the conference brought together researchers, clinicians and managers from around the world who are engaged in the design and delivery of integrated health and social care. They shared experience and the latest evidence about integrating Public Health, Health and Social Care and the New roles and Possibilities for Hospitals, producing Positive and Curative Integrated Mental and Physical Care, mobilising key enablers like policy making and Mobile and Digital Health Solutions, and investment in an Integrated Care Workforce, clinical leadership and coproduction with individuals, careers, communities and populations. The conference was a partnership between The International Foundation of Integrated Care (IFIC), PIAISS of the Catalan Government, Hospital Clinic Barcelona (HCB), Forum ITESSS and the Tic Salut Foundation. BravoSolution presented the EPP-eHealth project as part of the session `Remote care management through digital health technologies´ and displayed a poster describing the project. 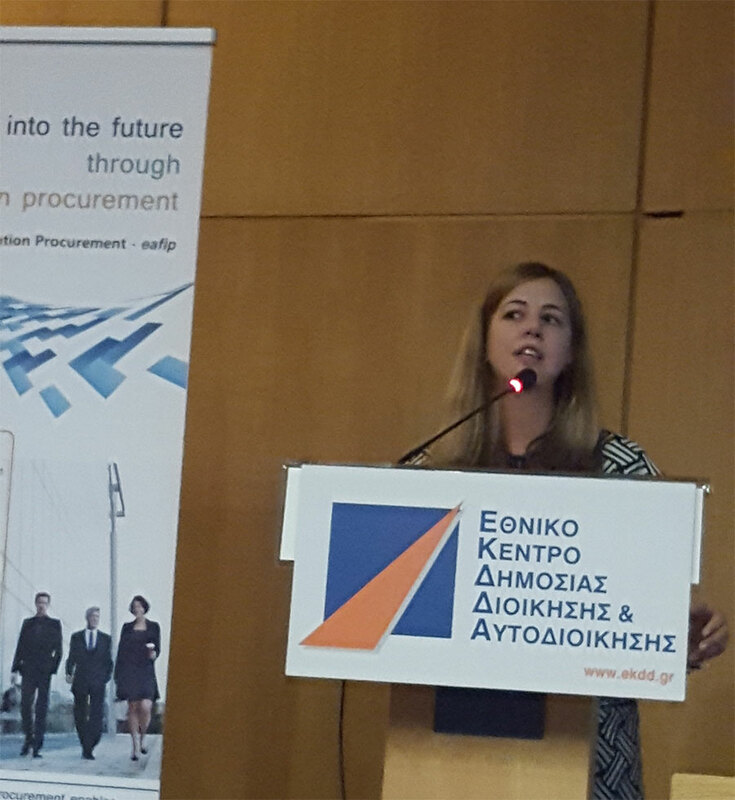 The European Commission organised the eafip workshop which targeted public procurement authorities in general public services like public administration, and economic and financial affairs (ministries, regional and local authorities, public utility companies, etc.). The workshop was open to public contracting authorities who had the unique chance to openly discuss unmet procurement needs, innovation concepts, and ideas. BravoSolution took advantage of the event to network with social healthcare stakeholders and to make awareness of the project, including the promotion of its online survey. Organized in the framework of the READi for Health project, coordinated by TICBioMed, it was a good opportunity to get to know what is the public procurement of innovation (CPI), the types of public procurement and its implementation in practical cases. 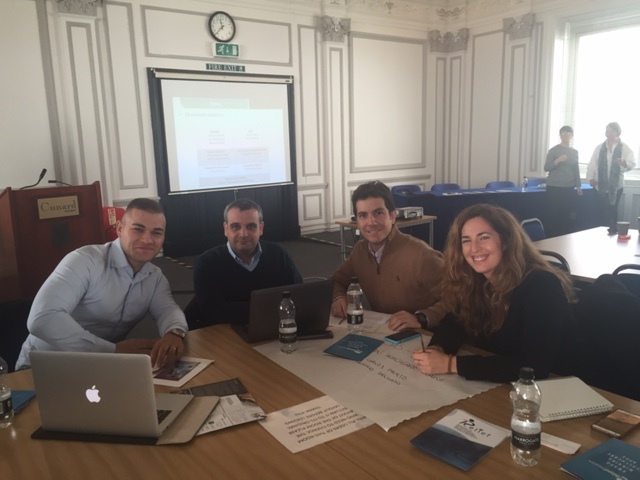 BravoSolution presented the fundamentals of PPI and the objectives, research methodology and main outcomes of the EPP-eHealth project. TICBioMed is an eHealth cluster headquartered in the region of Murcia(Spain). Its members include the local public Healthcare system, 4 private hospitals,3 Universities and more than 30 ICT companies. Murcia is a single province region of almost 1.5 M inhabitants. Its Healthcare organizations have mature eHealth solutions and the public provider is currently implementing a technology foundation based on interoperability, which makes it an attractive testbed for the incorporation of eHealth innovation. La Paz University Hospital organizes a Workshop on Innovation Procurement within the Healthcare sector. This event will take place on the 3rd of June in La Paz Facilities. The purpose of this survey is to understand the needs of health care institutions in various European countries and assess the potential of usage of ICT solutions (Information and Communication Technologies – wide range of all technologies that allow management and transmission of information including the Internet, wireless networks, Bluetooth, cellular networks and satellite networks) to meet those needs. The feedback will be aggregated and will inform the next stage in the EPP eHealth project which is the development of a Joint Statement of Unmet Needs. 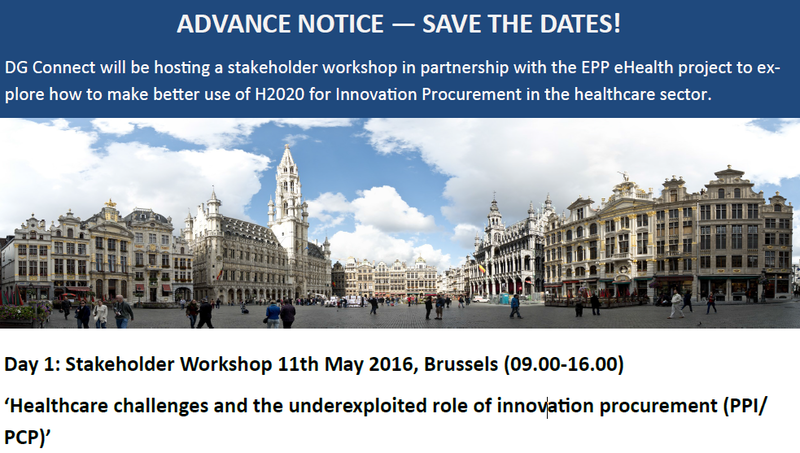 The EPP-eHealth Workshop on INNOVATION PROCUREMENT IN THE HEALTHCARE SECTOR will take place next 11th and 12th of May in Brussels. This event, which has been jointly organized with the DG CONNECT, will bring together key actors and those engaged in health (and social) care PPI and PCP projects, buyers and supply chain representatives and EC officers. It will review current state of the art, consider barriers and opportunities, and propose future calls to enable the wider adoption of innovation procurement as a mechanism to drive markets for healthcare innovation. Participation in the event is free of charge, but early registration is required as places are limited. Over the last few years the European Commission has supported a number of strategic demand side projects in eHealth exploring the use of innovation procurement to create viable markets for innovative goods and services. To date more than 15 ‘CSA’, ‘PPI’ and ‘PCP’ projects have been supported in the field of health and eHealth, with more coming on stream in 2016 and with new calls for projects anticipated within the framework of Horizon 2020. This workshop therefore provides a timely opportunity for these projects and a wide European community of public health and care procurers to come together, share their experience of implementing innovation procurement projects on the ground and together identify how this important area of work can be strengthened through collaborative learning and action in the future. It will facilitate a discussion among demand and supply side stakeholders to discuss barriers, enablers and mobilization of the market to address common unmet needs.